Many retailers, including Target, Walmart, Best Buy, Newegg, and others ran competing campaigns, many involving free or reduced shipping fees. Amazon and Walmart even publicly sparred a bit, bickering about pricing and the fairness of Prime membership fees. Would it all turn out to be a flop? Wouldn’t we all be at the beach on a lovely summer’s day, not shopping for flat-screen TVs? Well, it turns out you can do both at the same time. While some shoppers were less than impressed with the items on markdown, someone was buying all those compression socks and memory foam pillows. Indeed, Amazon reported that Prime Day’s sales broke their Black Friday records and was its biggest day ever for international orders and new Prime subscriptions. At the same time, something even more interesting happened: Other retailers had huge sales days, too. 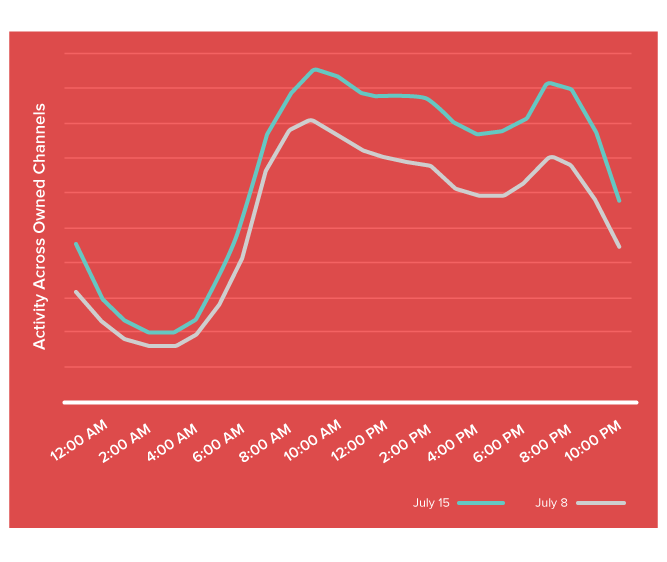 Our experts analyzed millions of customer interactions, and found that retailers experienced a 20 percent lift on Prime Day. At certain times of the day, the lift was as much as 40 percent higher than normal. Rather than steal other sites’ thunder, the massive Amazon tide (and some accompanying anti-Amazon buzz) lifted all boats. Amazon has announced that with the success of Prime Day, we can expect to see the event happen again. So what should retailers take away from Prime Day? That a shopping event can now happen virtually anytime – it’s not just for the holiday season anymore. Retailers should be prepared to capture the attention of the always-on, always browsing consumer, especially around a major shopping event like Prime Day. After all, what’s better than a banner sales day on an otherwise average day in July? Get banner results every day by harnessing the power of your own first-party data. Download our free ebook to learn how to to create personal, powerful interactions with your customers.